I hope you all had a nice Christmas, we certainly did. 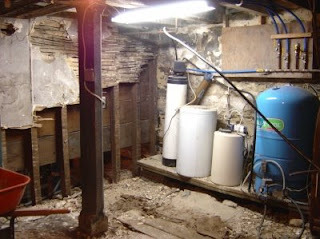 From right to left you see the pressure tank, the chlorination tank, and the water softener. The last two we will get rid off, and replace with a UV water treatment system. The wall on the left hand side is where all that will go.